Are you on the lam? Do you need something to hide your identity? Maybe you broke the vase your girlfriend got from her dying grandmother. Or, perhaps you forgot to put the toilet seat down again. Did you perchance turn off the alarm clock this morning? Making her late for work? Tell her she looks like her mother? Yeah, we understand the need to hide. In fact it may be in your best interest to lay low for a while. 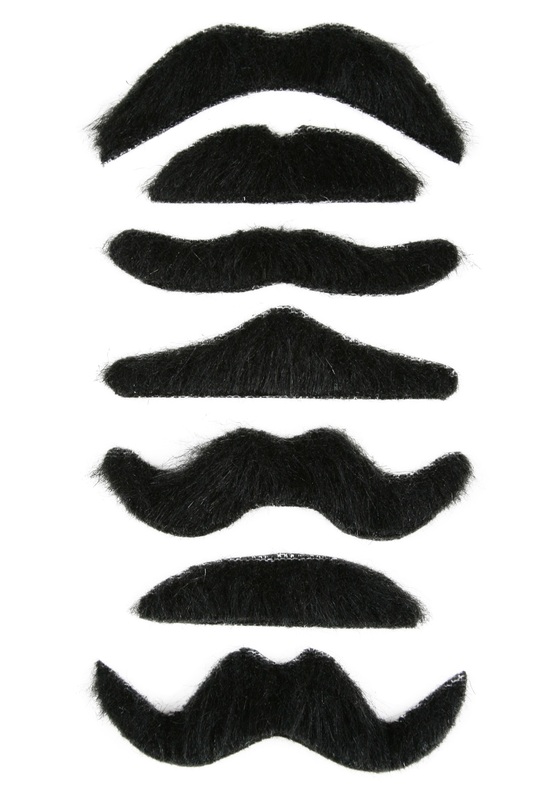 Switch up which mustache you wear in this Mustache Multi Pack to stay anonymous. Just don’t forget to send flowers home, apologizing for you faux pas. Promise to never leave the seat up. Chocolates that tell her you must have been out of your gourd to tell her that she looks like her mother. She is way prettier. Send adorable SnapChats that insist that you will never touch the alarm clock again. Hopefully, you will be able to put this Mustache Multi Pack away soon and be go back home. It will stay hidden, that is, until she needs it because she made you leave before the end credit scene of the new Marvel movie.